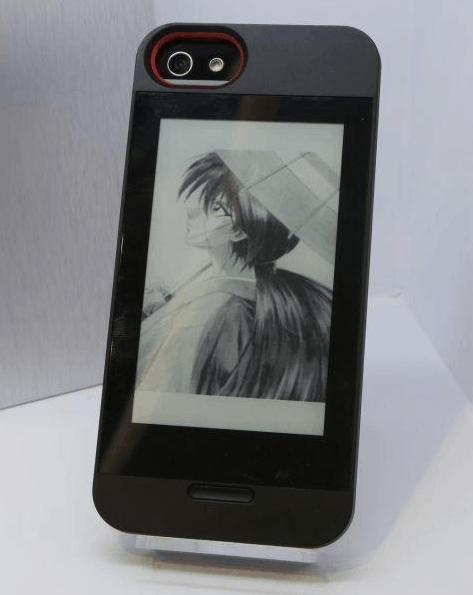 Over the past year a number of gadget makers ranging from Alcatel to Pocketbook have debuted smartphone cases that added a secondary E-ink screen to a smartphone (there's even a failed Indiegogo campaign to produce one). Out of all of those companies, only one has brought a product to market (so far). Gajah is a Singapore based device maker which has extensive experience in designing ereaders and tablets. They have used that experience to quickly develop the InkCase, a line of half-shell smartphone cases. I first reported on the InkCase when it debuted in June, and today I am the first blogger to get my hands on one and post a review. Sidenote: I am in fact the first to get my hands 6 InkCase review units. Do you want one? If anyone reading this is a gadget blogger with a decent readership, drop me a line and ask if I still have any to give away. Update: All I have left are a couple cases for the Galaxy Note 2. There are 2 InkCase models at the moment, the i5 and the N2. One (i5) fits the iPhone 5/5S, and the other (N2) fits the Galaxy Note 2. I don't have either smartphone, but I was able to successfully pair the N2 with my Kindle Fire HD and test it. I was also able to pull the cover off and see the innards, so I have more details to share than just a basic user review. Don't bother getting the InkCase. While this is a great idea and it shows great potential, the InkCase is hobbled by limited software and a poor implementation of the concept. There's not a whole lot that the InkCase can do at the moment, and I don't think it is worth the $99 MSRP. The N2 case has a 4.3" epaper screen (600 x 800 screen resolution), 1.6GB of usable storage, 830mAh battery, microUSB port, and 3 buttons on the front. It's running om a reasonably capable CPU (Allwinner E200) which was designed to be a CPU for an ereader (and is used to run a couple ereader models). The N2 is intended to pair with the Galaxy Note 2 over Bluetooth, and the USB port is currently only used to charge the battery. But while the hardware is good, the software leaves a lot to be desired. The N2 cannot do anything on its own besides cycling through a gallery of promo images. If you want to do anything useful you will need to run an app on the paired smartphone. The InkCase was launched with the promise that you would be able to use the epaper screen for reading, displaying notifications, showing images, weather updates, and more. At the moment there are only 2 apps available: a reading app and an image gallery app. The former is rather basic, but the latter has a few interesting features including filters. There are no other apps, nor are is there any useful system shortcuts like "send this screenshot to the InkCase". That would be useful for transferring a boarding pass, shopping list, or other data which you might want to use while your smartphone is asleep. There's also no way to simply load a folder of images or ebooks in the InkCase's Flash storage and then access them; each image or page from an ebook must be sent over USB - one at a time. I was really only interested in the reading app, but it did not live up to my expectation. First of all it doesn't do a very good job of displaying an ebook on my KFHD (it frankly doesn't look very good), but more importantly I am disappointed and frustrated by how the app worked with the InkCase. 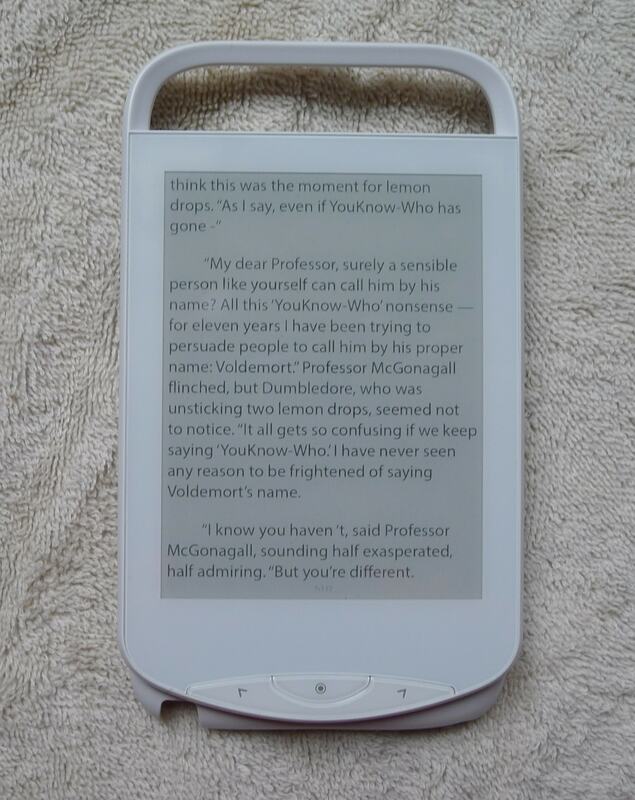 The InkCase has just the power button and the page turn buttons, so there's not a lot that can be done on the case itself to manipulate the text - no changing the font size, skipping around inside an ebook, nothing. I am perfectly fine with having to manage the ebook from the app, but I was hoping that the app would simply send an ebook to the InkCase (which would then display the ebook). That is not the case. Instead the app controls the screen on the paired InkCase while running on my Kindle Fire HD. Each page of text is sent one at a time, and the InkCase doesn't seem to be able to store more than a handful of pages at once. This means that the app has to be running and paired with the InkCase at all times. Whenever my KFHD went to sleep the connection was lost and the InkCase was useless. I'm pretty sure that won't be a problem with the Galaxy Note 2; my regular (non-Amazon) Android devices can ping me with notifications while asleep, so it should be possible for the reading app to continue to function even when the Note 2 appears to be asleep. Of course, it's going to draw power for the Bluetooth and the CPU, so even if the app is running that is still a sub-optimal solution. I find this immensely frustrating. The InkCase has the guts of an ereader, so it is capable of operating independently but unfortunately the software isn't set up to do that. And to make matters worse, the screen on the InkCase used a double refresh on every page turn. This tended to slow down my reading speed. I also noted that the screen regularly appeared to be blotchy; some text on the screen looked more faded than other text, while some parts were more bolded. This was a real turn off, and it made it a lot harder to read. Even though it has significantly more capable hardware, the InkCase is effectively more limited as an ereader than the txtr beagle. That device would at least display page images on its own while the InkCase cannot. I would not buy the InkCase until it either gets a major firmware update or until after it has fallen into the hands of a hacker. Someone needs to liberate the InkCase so it can live up to its full potential. 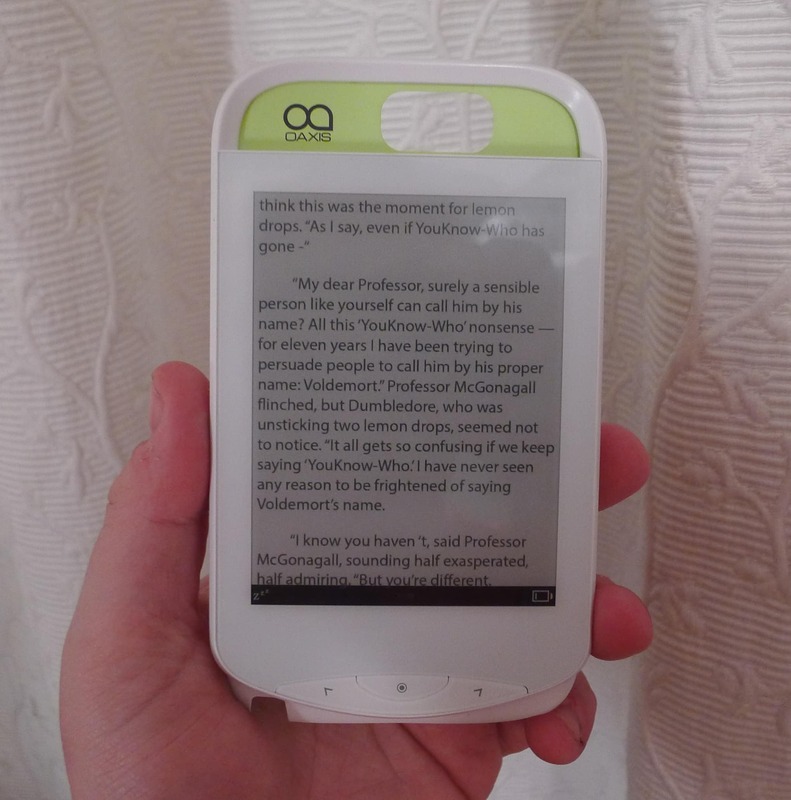 Seriously, the InkCase is the next best thing to strapping an ereader to the back of a smartphone. I know that might sound like a crazy idea, but given the already high cost of high end smartphones I think the extra cost is worth it. If the inkCase were as capable as the hardware suggested, I would want one. This case only adds minimal bulk to a smartphone in exchange for a potentially significant increase in function. That is worth the tradeoff, IMO. Pottermore Launches Tablet Friendly Site – Does Anyone Know Where They Hid it? Pretty expensive. The E200 SoC is also used in the Pyrus mini. I can’t find details about the screen in your text. Until recently, you could buy the Pyrus mini for €30 in Germany. The folks who collect for RocktEink said, they could add the 4.3″ screens from OED for $25 in quantity one. So, in any case, they should make these cases more useful and cheaper. I don’t know how much the extra cost for Bluetooth could possibly be. $99 seem unjustified though. I couldn’t find details about the screen, but I assume that it has the same resolution as the one on the Pyrus Mini. And I didn’t know that the Pyrus Mini used this same processor; that just goes to show that this could have been a real ereader. Thanks! If an iPhone 5 case is still available, I would love to have it. I gave it away at CES 2014, sorry. Thank you for your critical Review. I first was very interested to expand my Note 2 with this e- ink Display. But it seems not wearth the money because the equipment is not really integrated. I had the same Ideas you had for a Usage.Saving Battery while navigatin or display simultaneously everything the first screen displays in black and white. If You discover the ultimate reader please let us know. The Idea itself is very outstanding. Thanks! Still to this day, your review is the most transparent and scrutinous. I commend you for your excellent journalism. I have one, yes. I don’t know if Gajah has released any firmware updates, but I did raise the page by page issue when I spoke to Gajah at CES 2014 and they didn’t see why it was a problem.